What is Royal Jelly Extract? Royal jelly has been used for centuries as a medicinal remedy and nutritional supplement. In fact, it dates back to the time of Aristotle in Greece and even ancient Egypt (x). When used on the skin or eaten, royal jelly extract can strengthen the immune system, relieve the side effects associated with chemotherapy and ease premenstrual symptoms. Royal jelly extract is a nutritious milky substance made by worker bees, which is fed to drones and larvae worker bees to stimulate growth within the first 72 hours of their lives. Larvae that feed on royal jelly extract for a long time develop to become queen bees. As a matter of fact, queen bees only eat royal jelly throughout their lives. Being a food product, royal jelly has calories due to its carbohydrate, fatty acid and protein content. It typically contains around 60-70 percent water, 10-16 percent sugar, 12-15 percent proteins, 2-3 percent vitamins, amino acids and salts, as well as 3-6 percent fats. Its composition varies based on climate and geography. The name royal jelly comes from the fact that it is used to nurture and develop queen bees. It shouldn’t be confused with bee venom or bee pollen (x). Some royal jelly uses include treatment of type 2 diabetes, liver disease, hay fever, asthma, sleep problems (insomnia), fatigue associated with cancer, diabetic foot ulcers, menopausal symptoms, infertility, stomach ulcers, bone fractures, high cholesterol and skin disorders. It also acts as a universal tonic by strengthening the immune system and reversing the signs of aging. Some people even apply it to the scalp to boost hair growth or to the skin to refresh it. Royal jelly extract contains antioxidants that can fight cancer and boost immunity. It contains vital neurotransmitters that boost brain health and ward off disorders like Alzheimer’s. The product also maintains hormone balance and might boost sexual health. Women with menopausal troubles like stress, urinary incontinence and sexual issues can find relief by applying royal jelly to the skin. A vaginal cream helps improve the urinary and sexual function for women aged 50-60, thereby improving their quality of life. It also eases hot flashes and boosts general sexual stimulatory effects (x). While most of us associate sweet, tasty food with bad cholesterol, that’s not the case when it comes to royal jelly. Research has actually shown that faithfully including it in your diet can considerably decrease your “bad” cholesterol levels, thus helping you prevent cardiovascular problems like stroke and heart attack, as well as atherosclerosis (x). Research has shown that some proteins contained in royal jelly can affect people’s blood pressure levels. In fact, a protein known as hydrolysate may have a long-term effect on blood pressure. Royal jelly also contains potassium, which is a vasodilator that reduces stress on the heart and blood vessels. When these components combine, they help to prevent various heart conditions (x). Research reveals that taking royal jelly extract, bee pollen extract, as well as pistil with bee pollen extract orally for a couple of menstrual cycles relieves some PMS symptoms, including swelling, weight gain, and irritability (x). Royal jelly can boost the natural immune response of your body to foreign viruses and bacteria. Its fatty acids and major proteins can boost antibacterial activity, which may support immune function and decrease incidences of infection. However, most relevant data is restricted to test-tube and animal research. Thus, there is still much more to learn from future studies (x). Royal jelly boosts short-term memory and helps improve neural functions while boosting spatial learning as well. The antioxidants contained in the extract also play a vital role in the cure and prevention of neurodegenerative conditions, including Alzheimer’s. Moreover, it also promotes cognitive function and fixes brain damage, especially dead brain cells (x). While it’s not clear what role royal jelly plays in treating infertility, it’s possible that royalactin has an effect on human fertility. Royalactin is the protein that determines the morphology of the queen and helps her get sexually viable. Royal jelly also has the potential to boost sperm motility and fertility in men. This increases the chances of their partner getting pregnant (x). Royal jelly can prohibit the growth of cancer. It’s been shown to stop blood from flowing to cancer cells, thus stopping their growth. It contains fatty components with estrogenic effects — this is why it may help treat cervix and breast cancer. In fact, one Iranian study revealed that it might help treat fatigue associated with cancer (x). While royal jelly doesn’t reduce weight directly, it can raise your levels of energy — this helps you exercise harder, eventually leading to weight loss. It also doesn’t contain saturated fat and is low in calories, making it a great addition to any weight loss diet. According to one Iranian study, taking royal extract can help diabetics manage their weight. 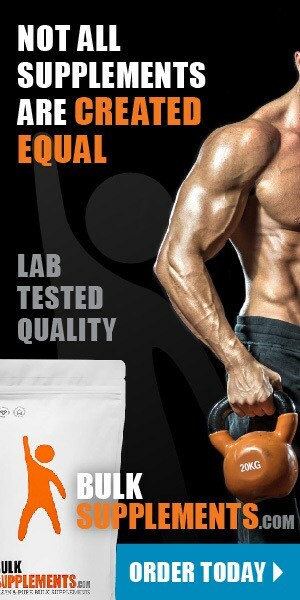 The product can also increase metabolism, which aids weight loss (x). The antioxidants in royal jelly may help reverse the effects of aging. Royal jelly for skin tightens the pores, rejuvenates your skin, and gives you an unblemished look. It fights the aging signs caused by free radicals and gives your skin a healthy glow while also combating skin issues like pruritus. It has anti-inflammatory qualities that decrease inflammation, destroy bacteria and improve your skin’s overall appearance (x). Diabetics are at a higher risk of having ulcers in various areas of the body. This is often epitomized by slow healing as well as a greater risk for infection. Research shows that applying royal jelly extract on diabetic ulcers might help with speedier total skin restoration (x). Royal jelly has amazing active enzymes and vitamins that make it a possible anti-inflammatory agent. However, excessive heat will destroy the enzymatic qualities, so you shouldn’t ingest it if you want to get these benefits. Instead, you can apply it topically to the areas affected to ease the pain caused by inflammation (x). 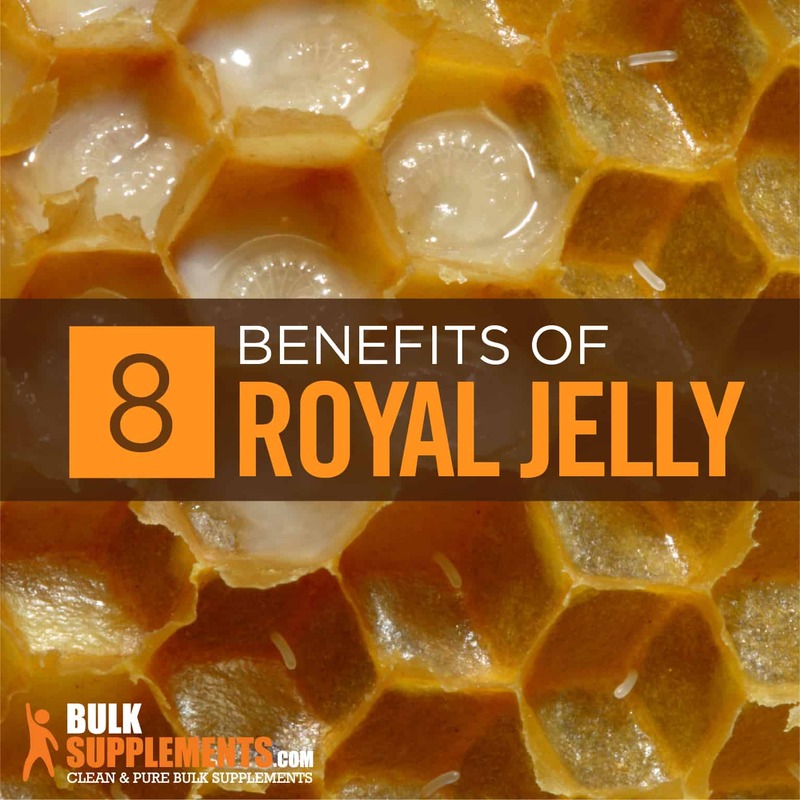 Royal jelly is amazing for bone support. One Japanese study shows that the product helps prevent osteoporosis. It does this by boosting the absorption of intestinal calcium. Moreover, it can boost your body’s capacity to take in calcium and properly store it in the bone structure while enhancing bone strength (x). Studies show that royal jelly extract can help shorten the healing time of patients receiving chemotherapy and radiotherapy. Along with regular mouthwash therapy, the product is capable of easing symptoms of mucositis in the mouth. Data suggests that applying films containing royal jelly to the skin may help heal severe oral mucositis. The effect is caused by its antioxidative or anti-inflammatory activities (x). Although royal jelly is safe for most people, it does come with some risks. Before you begin taking this product, it’s best to know what potential side effects may occur, some of which may cause serious problems. Since it’s made by bees, people allergic to pollen, bee stings or other outdoor allergens should be cautious. The supplement may also contain some environmental pollutants like pesticides, which could cause allergic reactions. Royal jelly is largely safe for everyone, but serious reactions have occasionally been reported. Allergic Asthma: Patients with asthma may be at a high risk of suffering from chest tightness, shortness of breath and difficulty breathing when using royal jelly extract. This is often due to the immune system mistakenly attacking the protein in royal jelly, producing antibodies and histamine (x). Contact Dermatitis: Topical application has reportedly caused occurrences of contact dermatitis (x). Anaphylaxis: In very rare cases, some people might suffer a serious anaphylactic shock, which can cause death. The body doesn’t always react well to the intake of royal jelly, releasing a flood of chemicals to counteract its proteins. This will then make your blood pressure fall, causing difficulty in breathing, dizziness and nausea (x). Low Blood Pressure: Taking royal jelly may lower your blood pressure. If you already have low blood pressure, don’t take the supplement as it might cause your blood pressure to drop too low (x). If you suffer any of the above complications, stop taking the supplement immediately and see your doctor. Royal jelly is likely safe for children when taken orally for up to six months. There’s not enough information regarding its safety among breastfeeding or pregnant women, however. It’s best to avoid it to be on the safe side. Royal jelly can also intensify the effects of blood thinners, increasing your chances of bleeding. Get advice from your physician beforehand. If you have estrogen receptor-positive breast cancer, avoid royal jelly as it can promote the growth of cancer cells. To prevent any side effect, be sure to take fresh and organically produced royal jelly. If you have any sort of disease, talk to your doctor before consuming it. The recommended dose for royal jelly is 1,000 mg to be taken 1-2 times daily, or as instructed by a doctor. Like all supplements that help promote your overall well-being, it’s vital to note that royal jelly is no substitute for valid medical advice. It’s always important to consult your doctor if you have any health problems before consumption. Royal jelly tastes great and has lots of nutrients. But don’t buy the supplement to treat eczema or asthma as it probably won’t work. In addition, if you have allergies, it can actually trigger similar symptoms. Similarly, don’t start using it for cancer quite yet — studies are still ongoing and there are far better treatments already available (but it’d be ideal to include it in your diet all the same). Considered the “fountain of beauty and youth,” royal jelly contains B vitamins, including folate, biotin, gamma globulin, inositol and 17 other amino acids, including eight that our bodies can’t produce. It also contains calcium, magnesium, potassium, zinc, copper, iron, manganese and sulfur. No wonder this sought-after nutritional supplement provides vigor and energy-boosting properties. These qualities give royal jelly the ability to regenerate and rejuvenate the body, maintain skin tone, slow down the aging process, help those with Alzheimer’s, work as an antidepressant, boost your capacity to think clearly, support a healthy heart and even treat hormonal imbalances. Not too shabby! It is also useful for various other health reasons — like as a natural asthma remedy, an immune booster and for healthy bone development to mention a few. This supplement is not 100 percent safe for some people, though. In rare cases, serious side effects like anaphylaxis are possible. While current research looks good, more research is necessary to establish how this extract may support a healthier lifestyle.